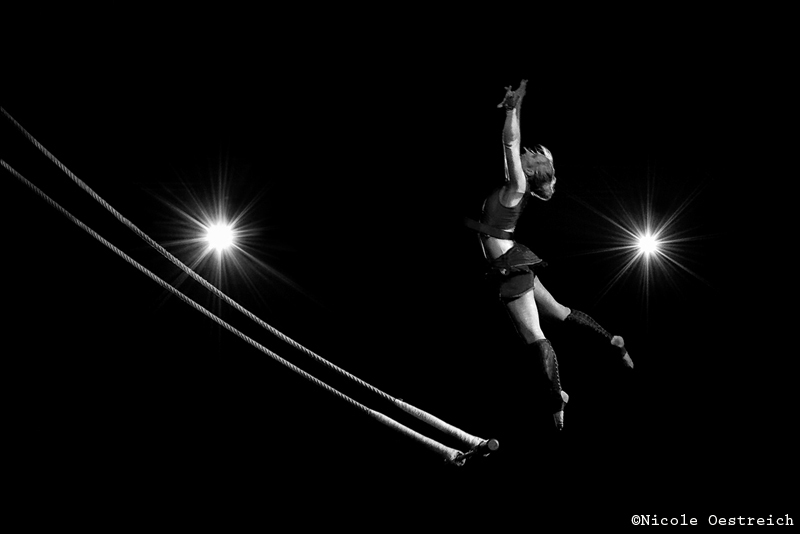 Most circus artists are happy with just one prop – Lisa Rinne … is not! 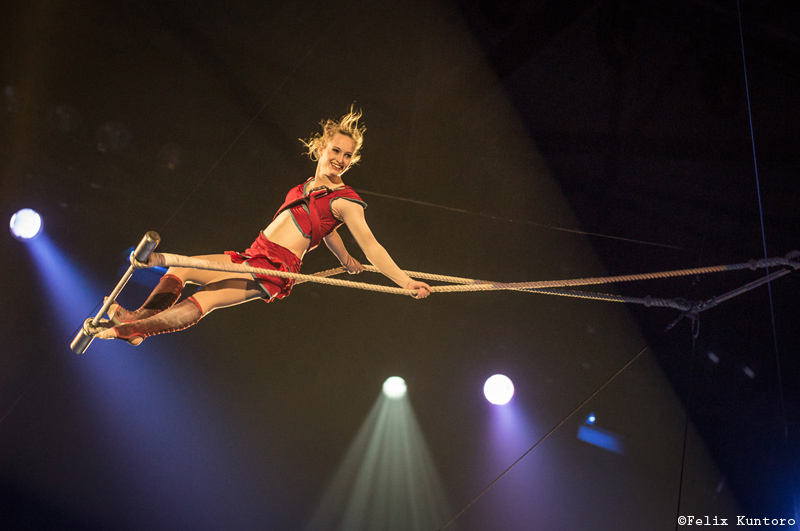 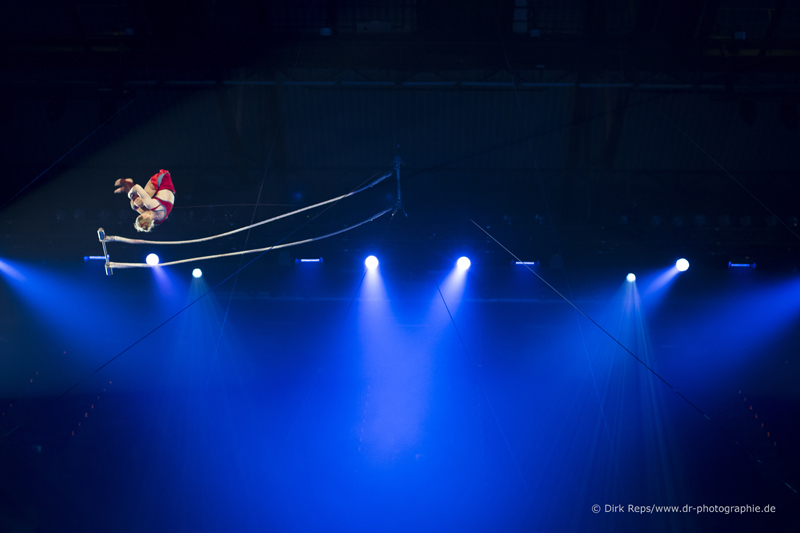 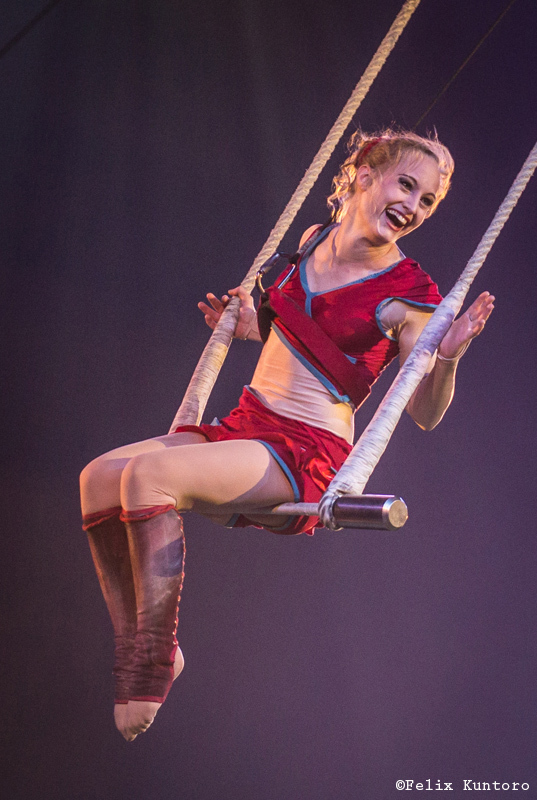 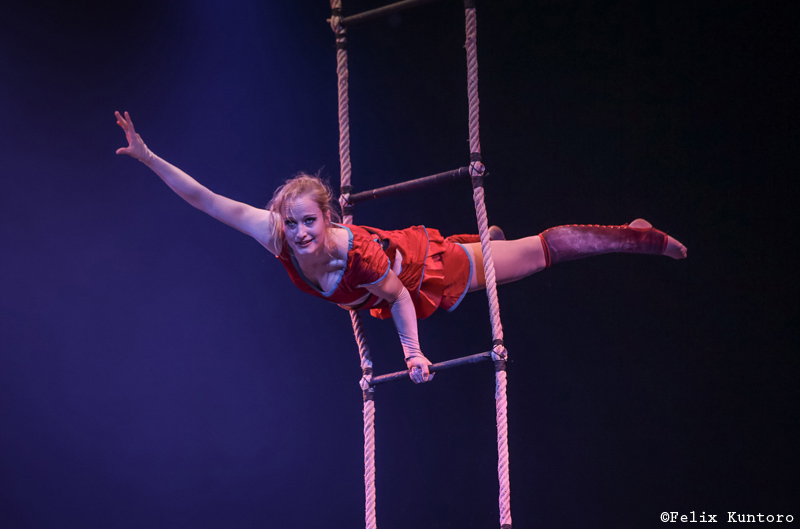 Considering her motto “No matter how high you wanna fly, you gotta start on the ground!” she dances up her aerial-ladder with acrobatic perfection until she flies into the hearts of her audience on her swinging trapeze. 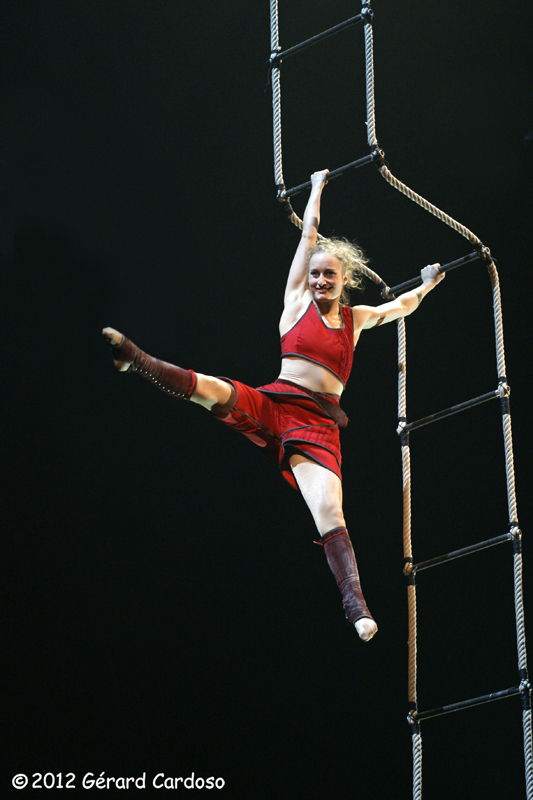 It’s not just the unique combination of ladder and trapeze, not just the collection of awards that she has won for her world class act, not just her lively and inspiring performance, it is also and especially her incredible, divine charisma that turns “Fallen” into what it is: creative, breath-taking and definitely nothing for the faint-hearted. 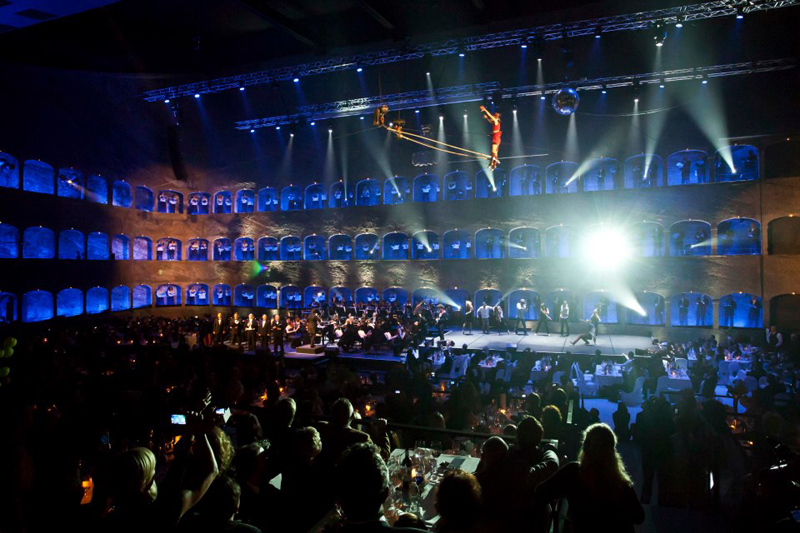 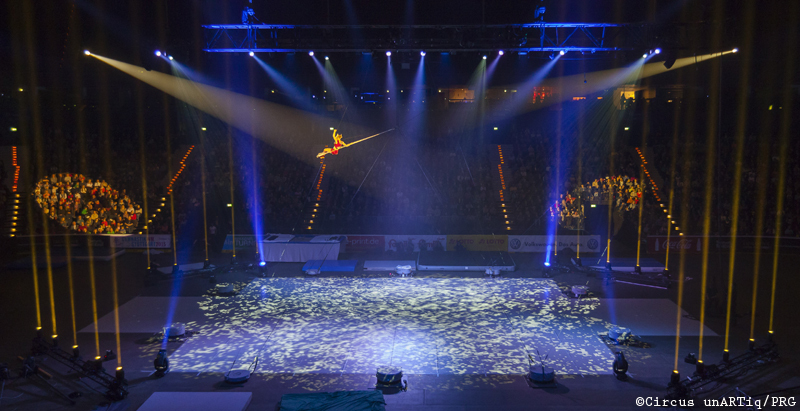 'Gold' at the European Youth Circus-Festival in Wiesbaden, Germany, in 2012. 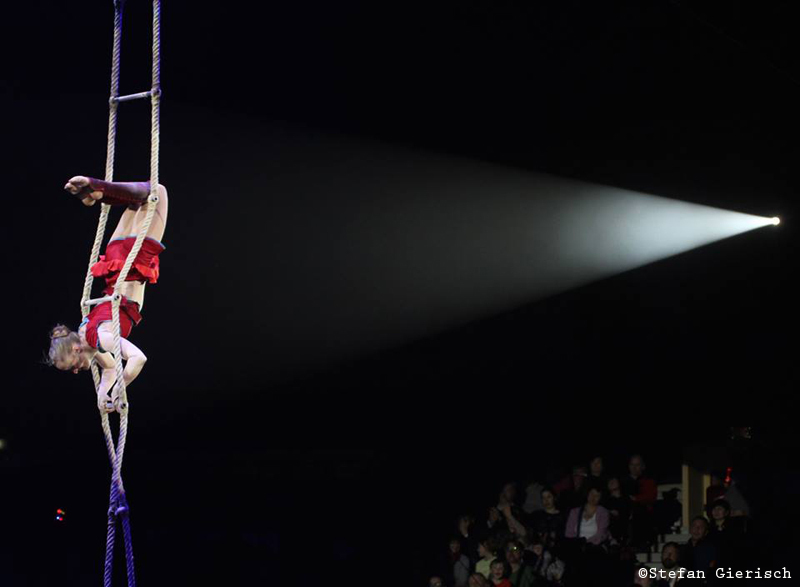 'Silver-Medal' at the 33rd "Festival Mondial du Cirque de Demain" in Paris, France, in 2012. 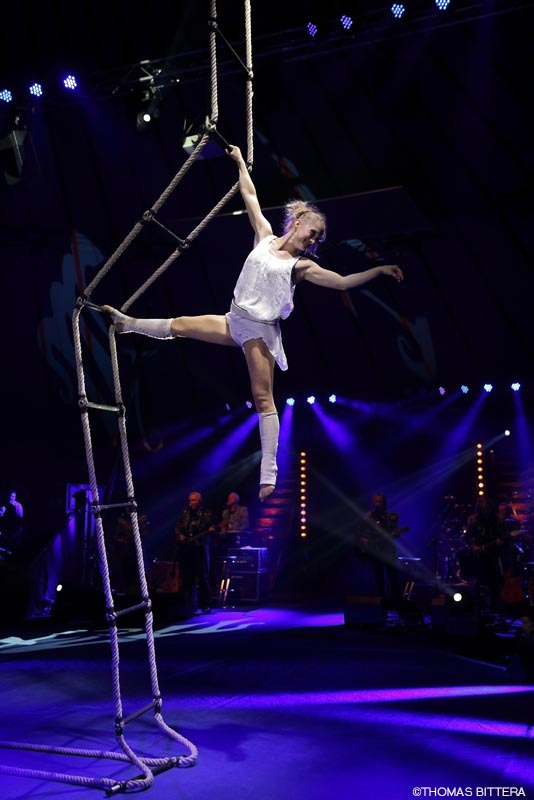 'Silver Elephant', 'Planet Circus Award' & 'Special Price of the International Circus Festival of Budapest' at the 11th International Circus-Festival in Moscow, Russia, in 2012. 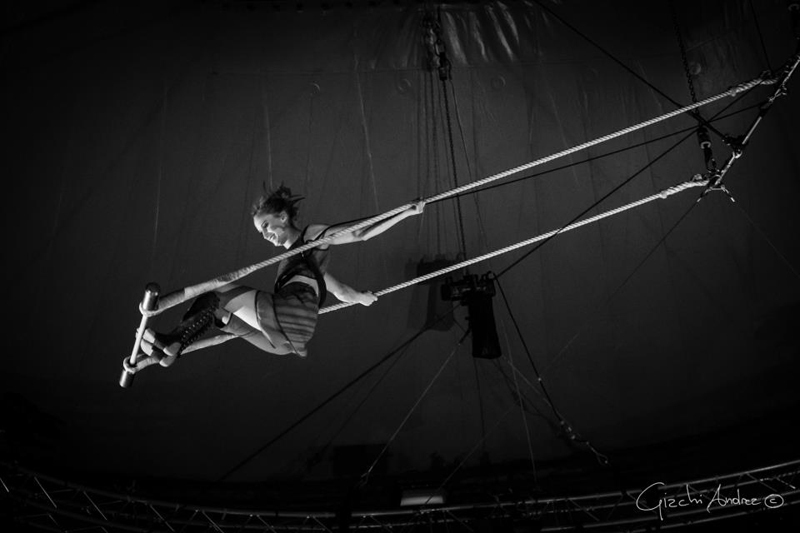 ‘Silver Lion‘ at the International Circus-Festival in Wuqiao, China, in 2013. 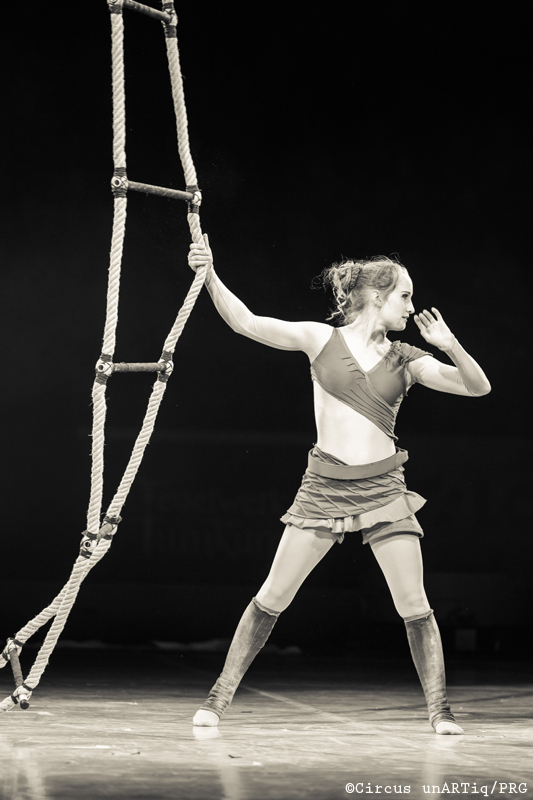 ‘Pomme de pin BRONZE’ at the 14th "Festival International des Artistes du Cirque" in St.-Paul-les-Dax, France, 2013.